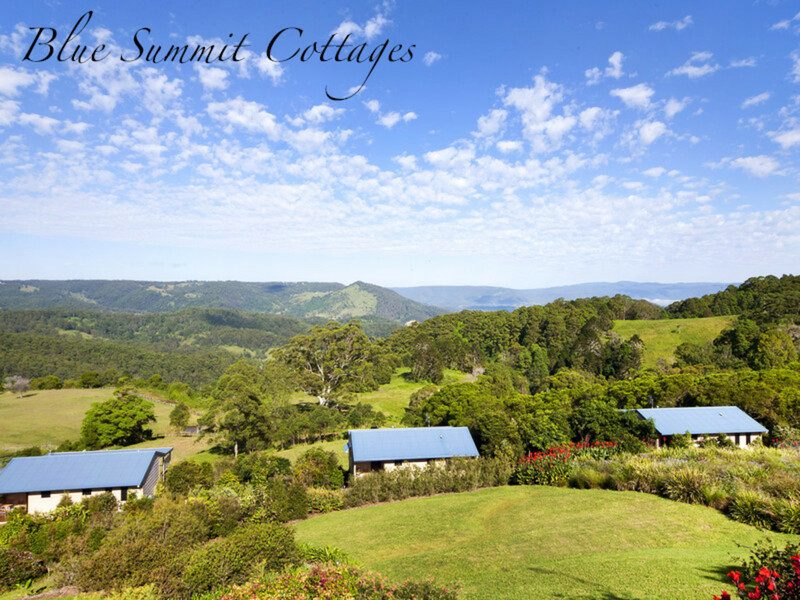 Blue Summit Cottages in Maleny is the best cottage bed and breakfast experience on the Sunshine Coast Hinterland, but don’t just take our word for it, visit www.tripadvisor.com.au/​bluesummitcottages and see for yourself! 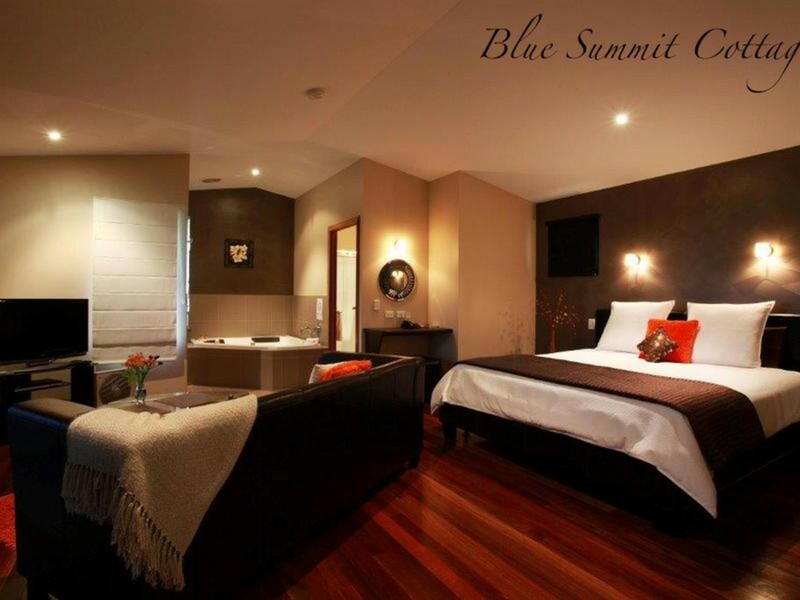 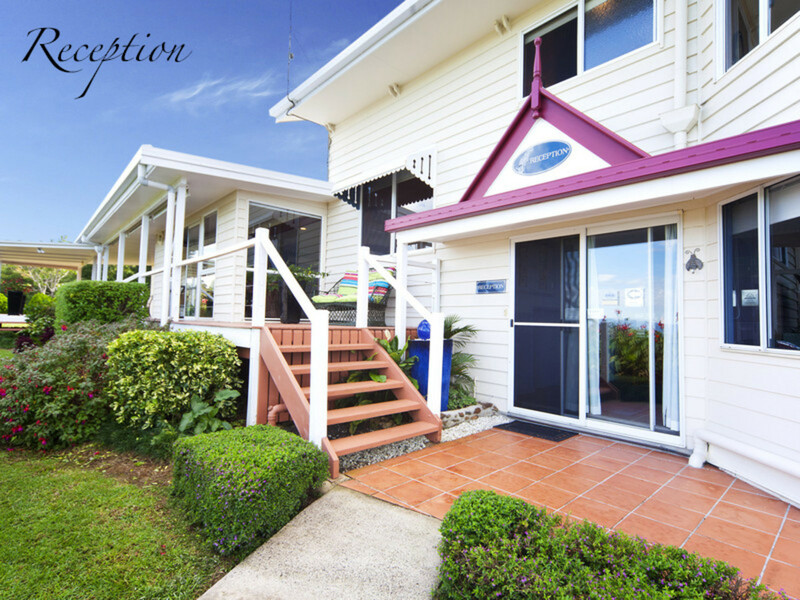 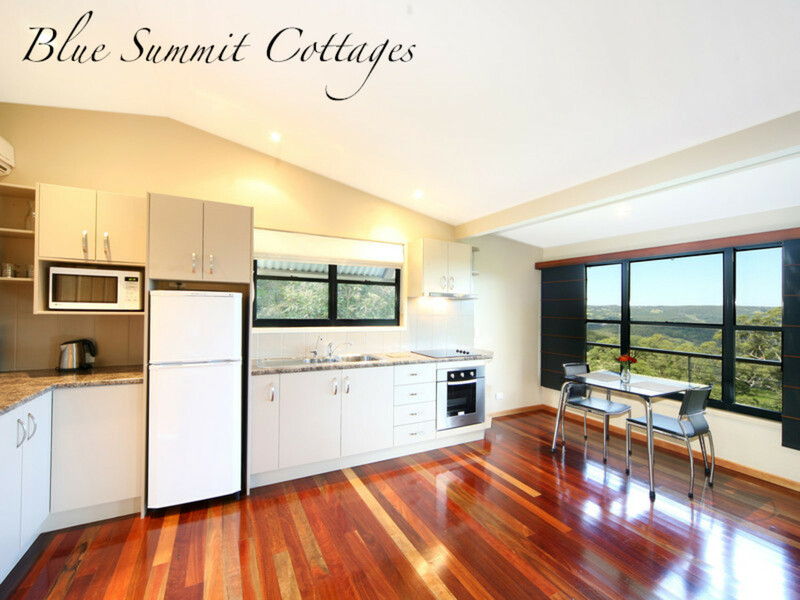 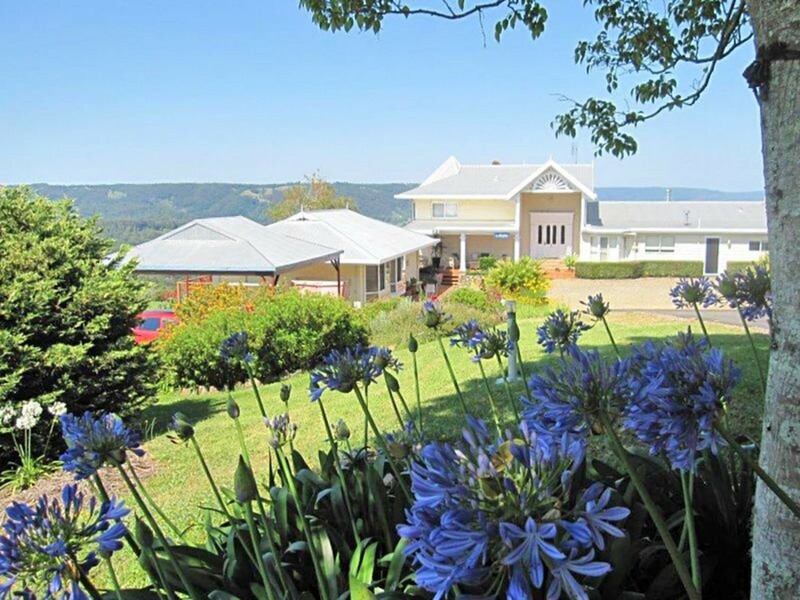 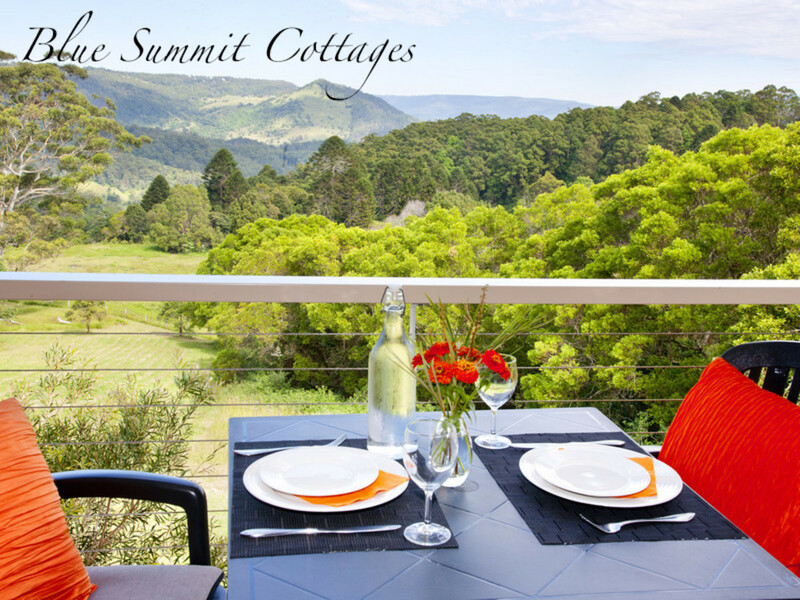 Blue Summit Cottages in Maleny has been awarded the Travellers’ Choice Winner for 2012 and 2013, is AAAT 4.5 star rated, is only 5 years old and has excellent occupancy rates and established repeat business. 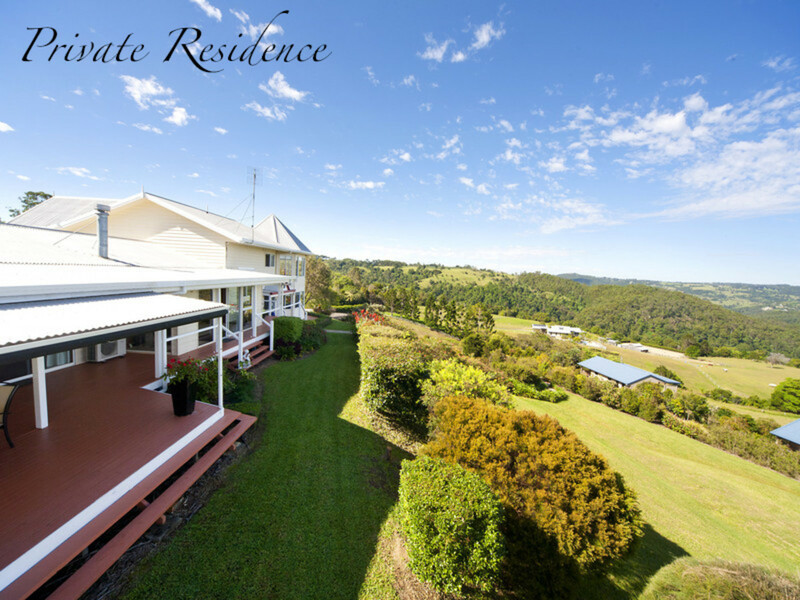 Only minutes from Maleny in a sought after location in south East Queensland, this unique property now being offered for sale is your answer to the perfect work life balance, providing an excellent income from a rewarding business, and as an added bonus, other residences of quality, character and charm, with the three bed and breakfast cottages being just part of this fantastic property. 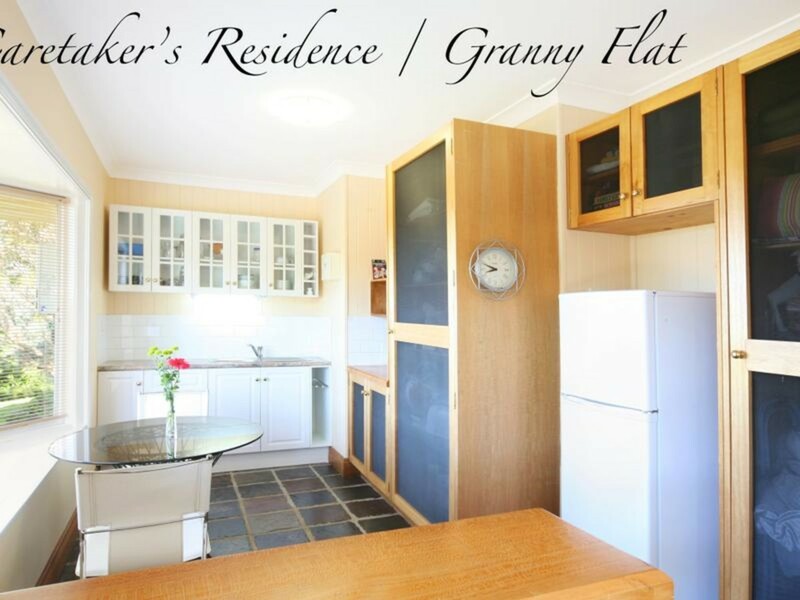 Set on almost 10 acres of lush undulating countryside and approached by a long, tree-lined driveway, this property also has a superb residence, reception and caretaker’s cottage/granny flat/teenager’s retreat. 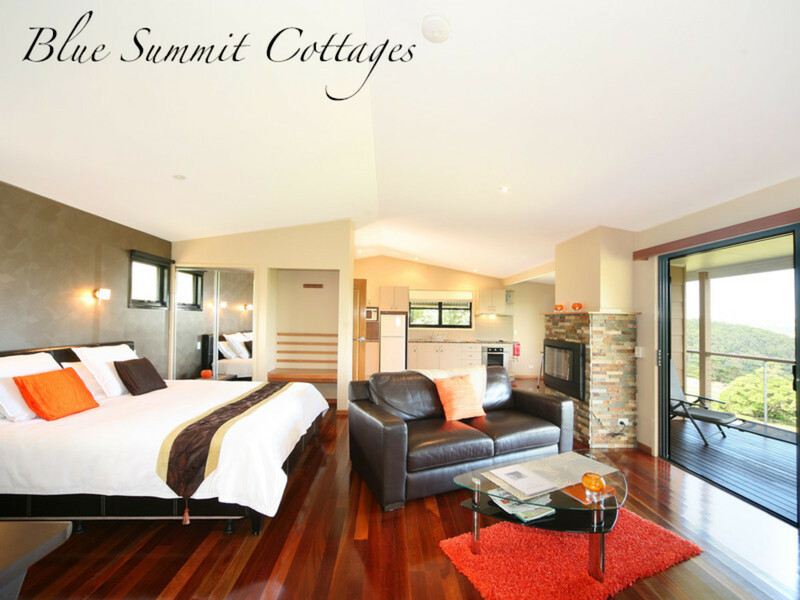 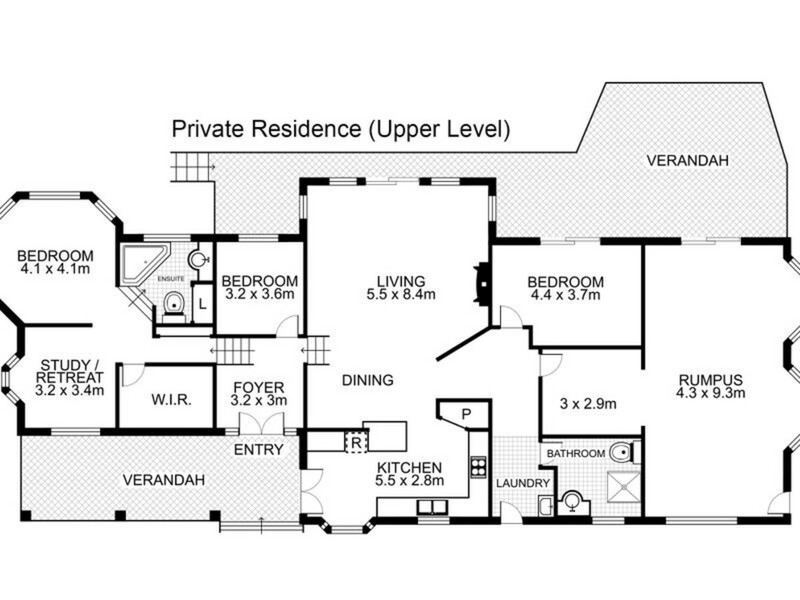 The main architecturally designed residence features a modern gourmet kitchen, spacious master bedroom with parent’s retreat/office overlooking spectacular views on three sides, western red cedar ensuite with spa, polished floor boards, fire-place, and huge rumpus being only some of its many features. 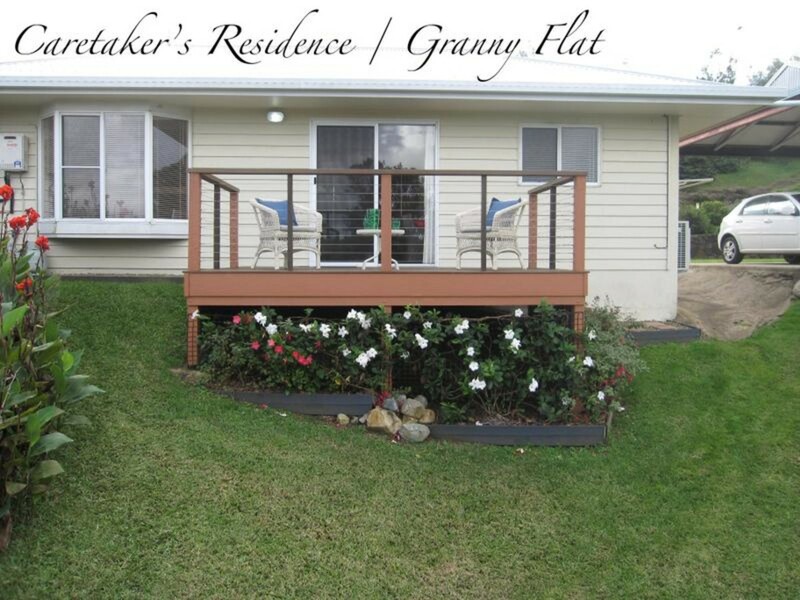 The caretakers cottage/granny flat/teenager’s retreat is situated close to the main residence, and is spacious, modern and self-contained, with a large private decking area. 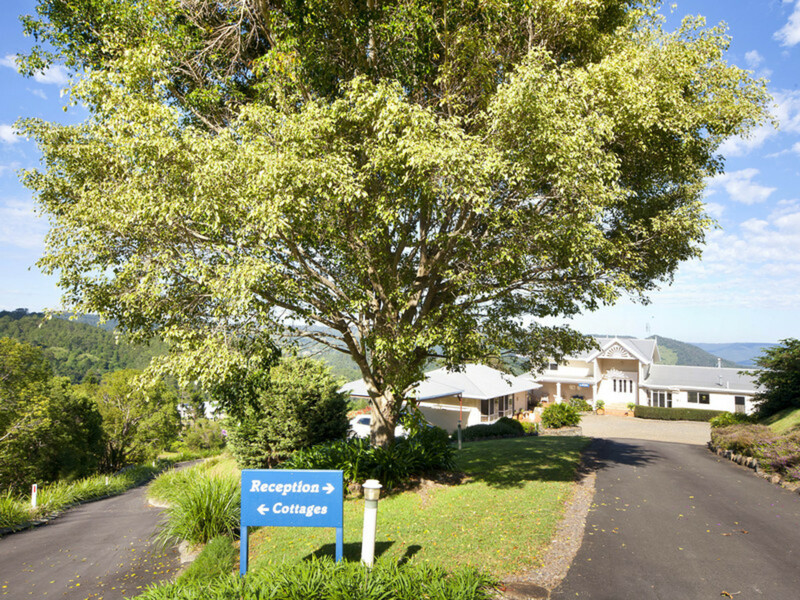 Birdlife abounds in the landscaped park-like grounds, with established trees, garden and vegetable gardens and a large shade house. 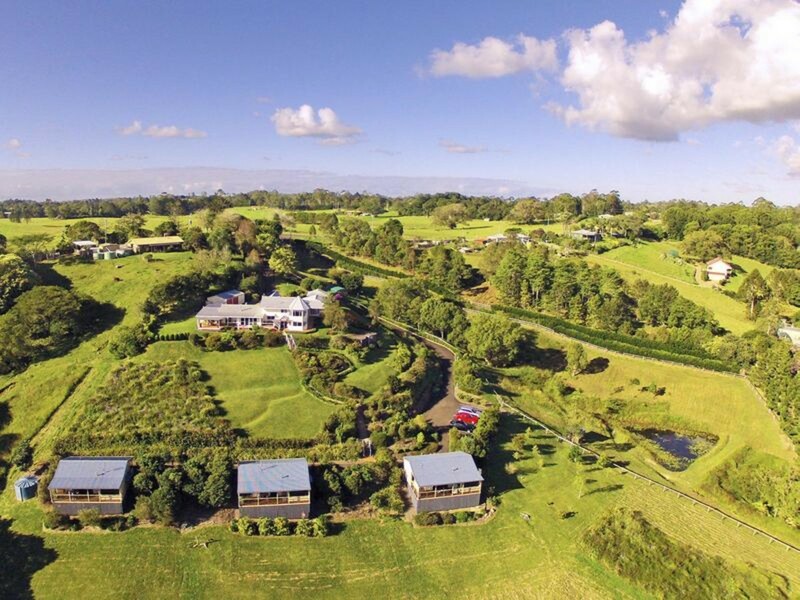 Two spring fed dams and multiple rain water tanks ensure water for the residences and garden is plentiful. 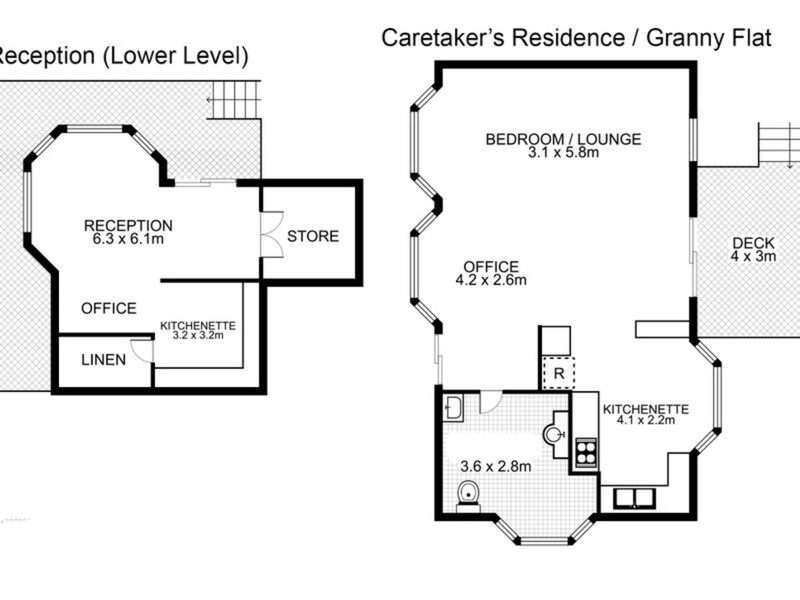 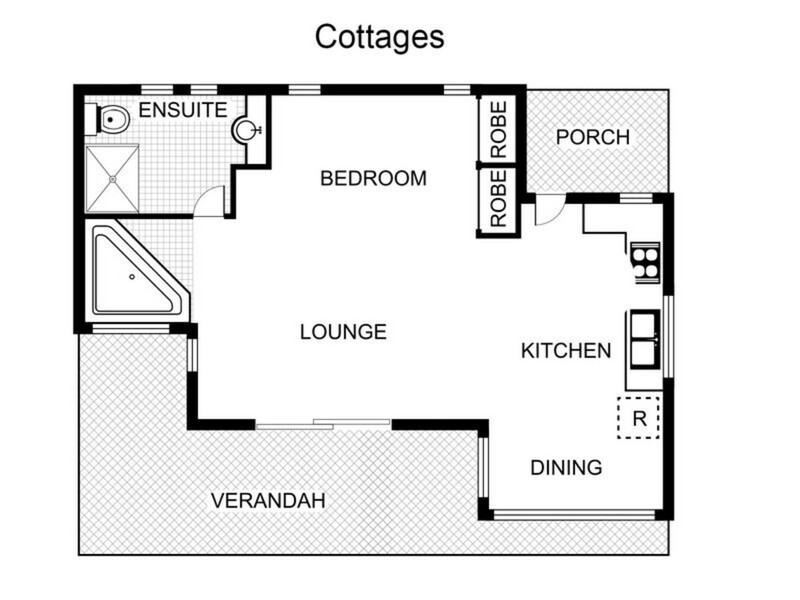 There is also a 2.5 bay garage/workshop and separate double carport. 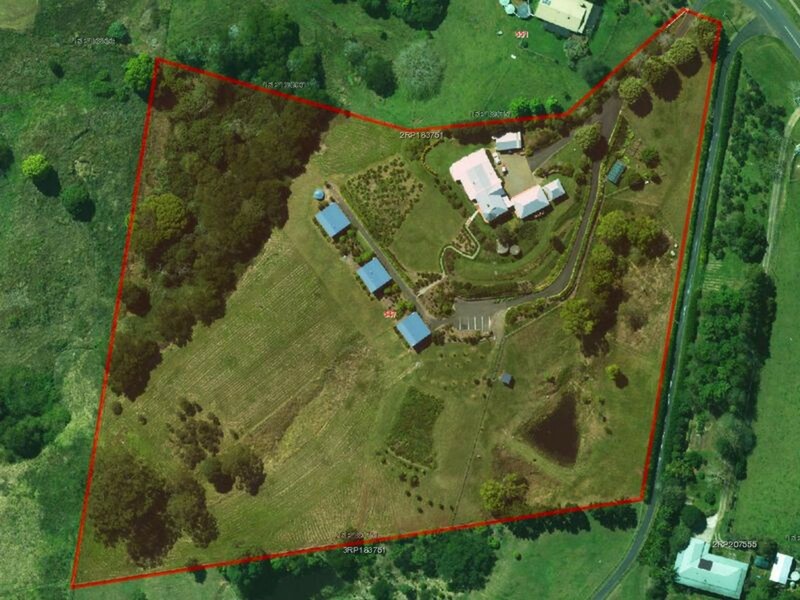 The fully fenced paddocks are ideal for stock, presently with very popular alpacas. 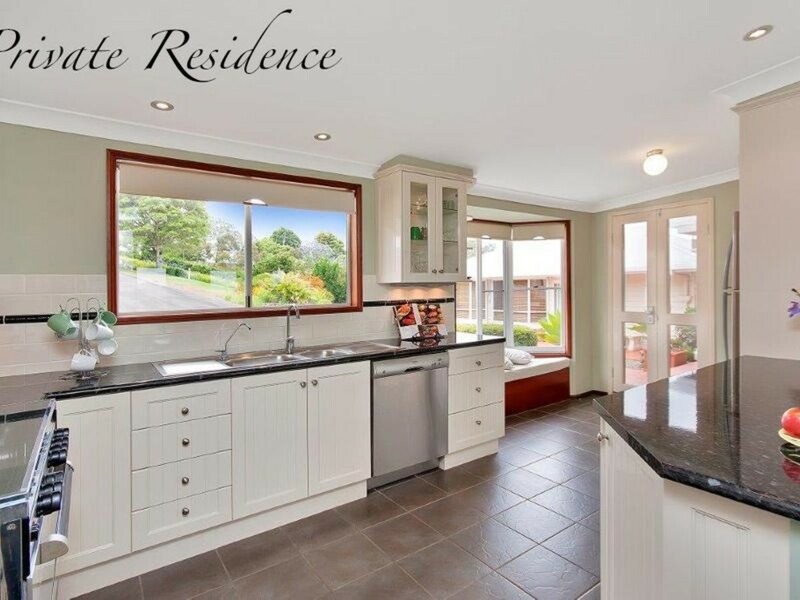 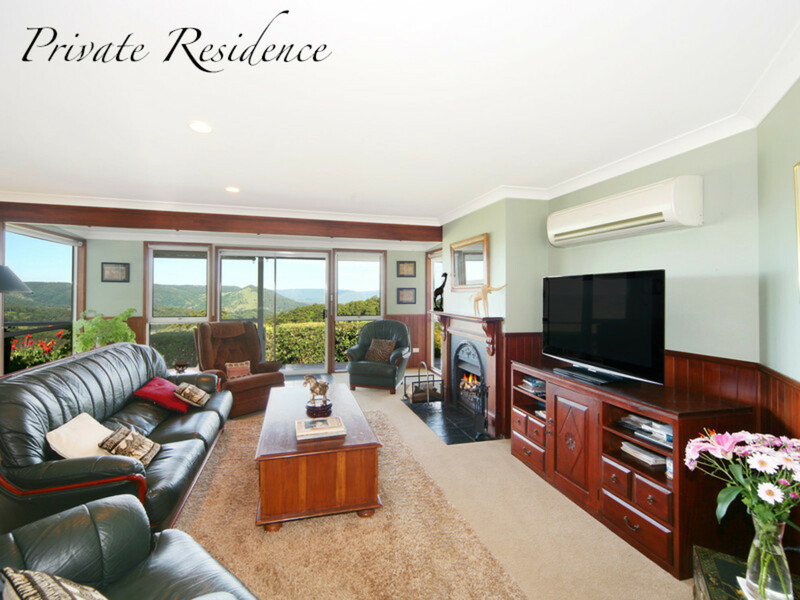 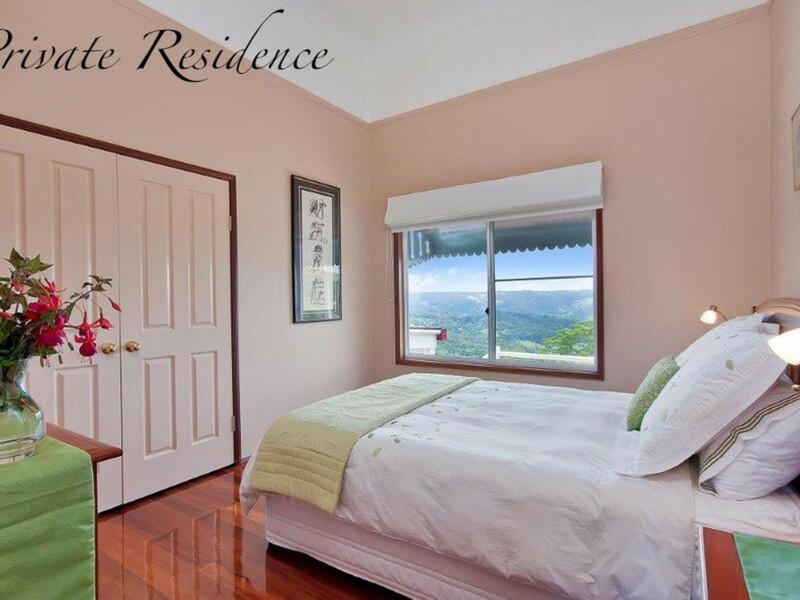 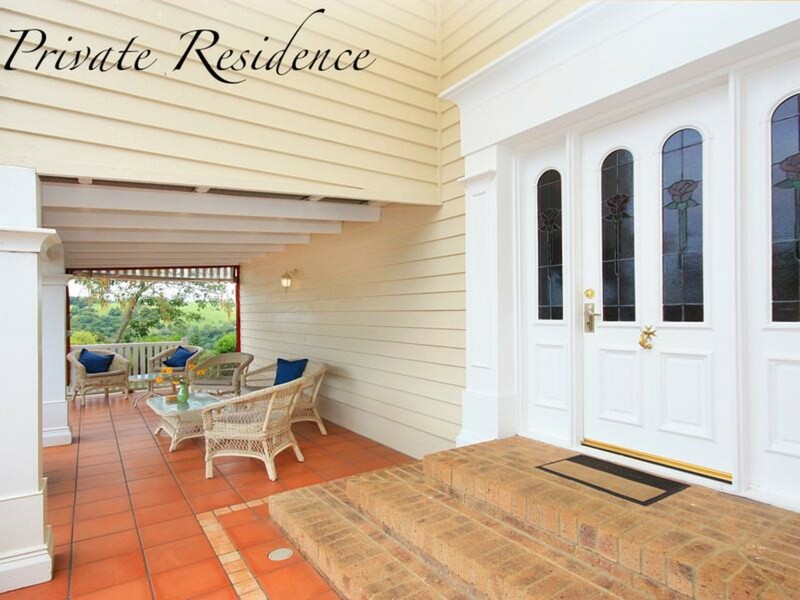 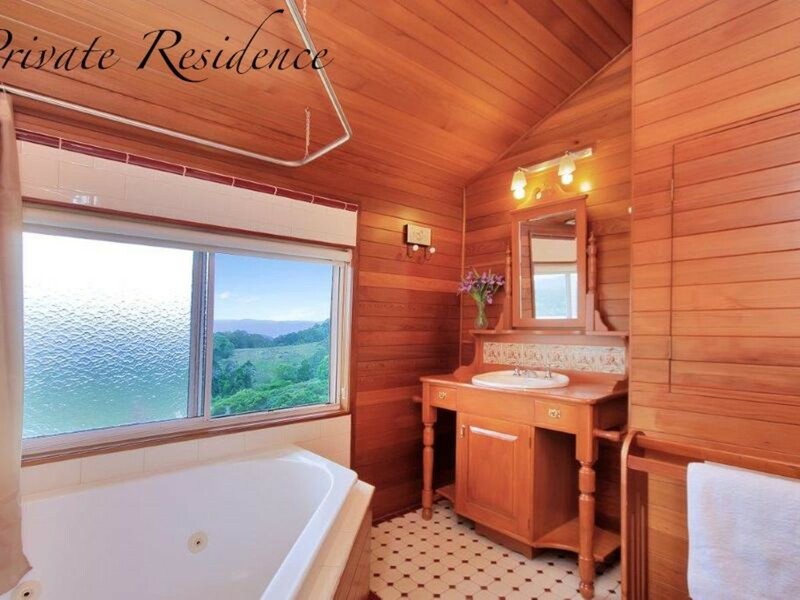 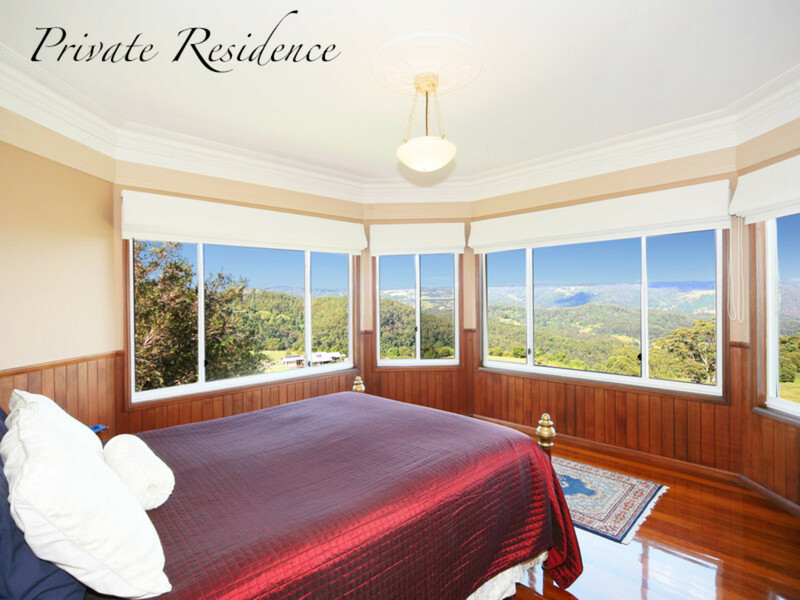 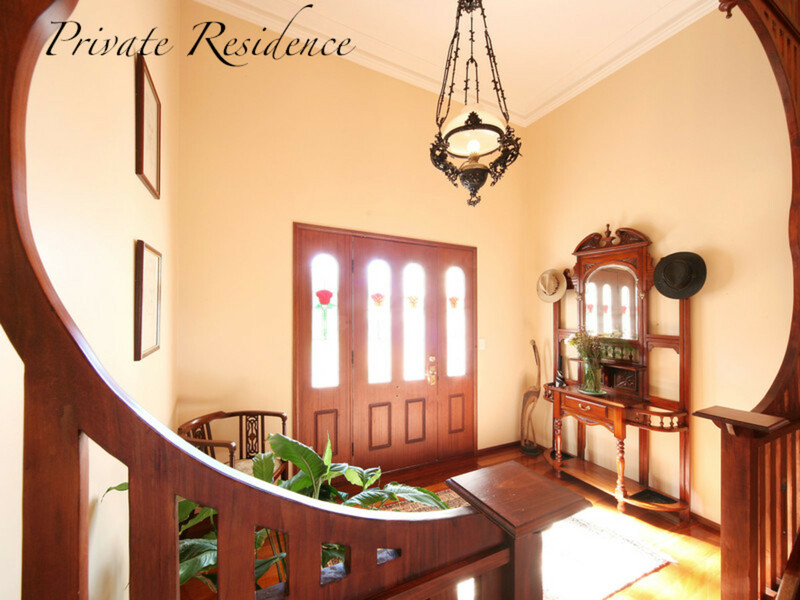 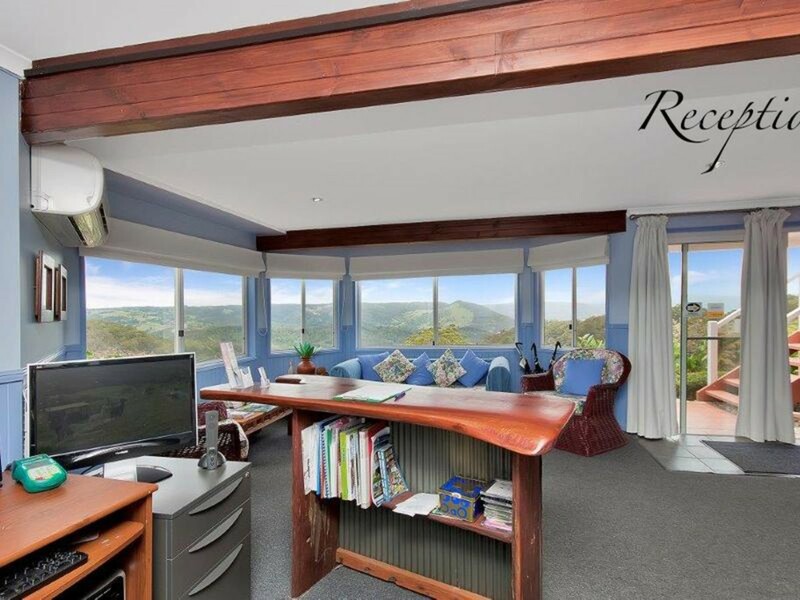 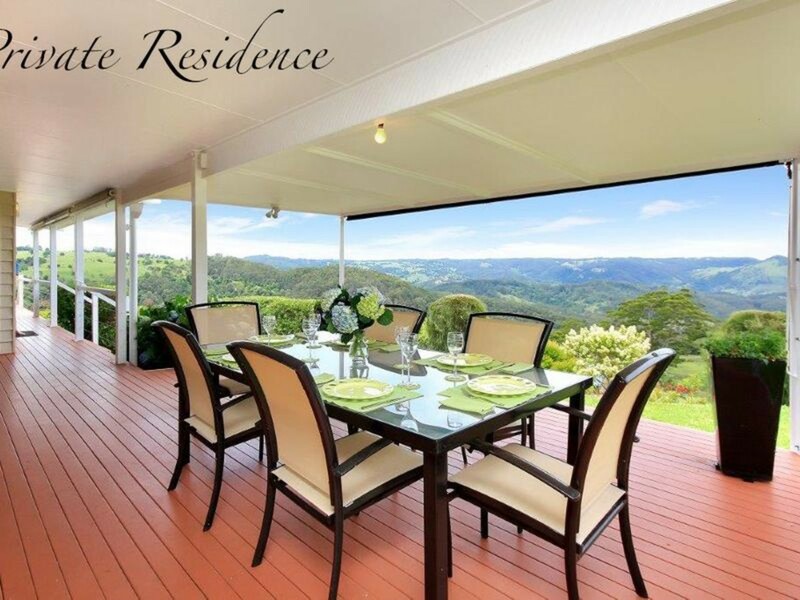 All residences on the property enjoy absolute privacy, are peaceful and with breathtaking views of the Conondale Ranges which is ever-changing, from mist settling between the peaks in the early morning to the expansive sunsets in the evening. 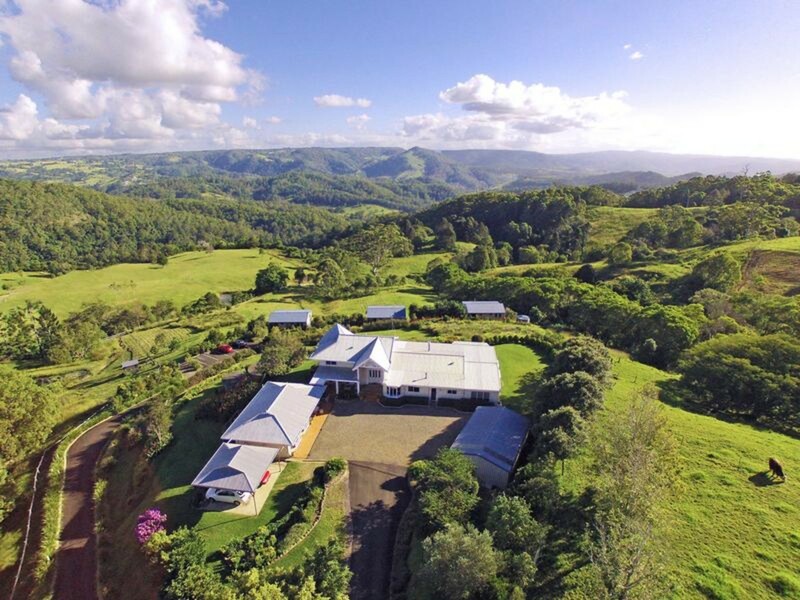 Location: This property is perfectly situated, being only 8km to the Maleny township, 40 minutes’ drive to the pristine beaches of the Queensland Sunshine Coast, 45 minutes to the Sunshine Coast airport, and 75 minutes to Brisbane.